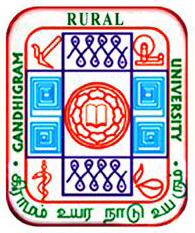 GRI Dindigul Recruitment 2018-2019 Application Form for 01 Junior Research Fellow Posts Download Application through Official website www.ruraluniv.ac.in. GRI Dindigul Computer Assistants Jobs Notification 2018 Released. The Interested Candidates are requested to Download Application through Official website www.ruraluniv.ac.in. The last date for submission of applications is 09.07.2018, 05.00 p.m. GRI Dindigul Recruitment 2018-JRF Posts – Apply Soon, GRI Dindigul pattern of examination, GRI Dindigul Syllabus, GRI Dindigul Question Paper, GRI Dindigul Admit Date Release Date, GRI Dindigul Exam Date, GRI Dindigul Result Date are given below. Candidate Use Bio-Data along with photocopies of (i) ID proof (ii) Proof of Date of Birth (iii) Educational Certificates: Mark-Sheets/Degree Certificate (iv) Caste and attested copies of relevant documents should be addressed to “Dr.N.Palaniappan Co-ordinator, MGNREGA Project Computer Centre Gandhigram Rural Institute (Deemed to be University) Gandhigram – 624 302 Dindigul Dt. or Mail to: grucc@ruraluniv.ac.in” by post so as to reach us by 09.06.2018, 05.00 p.m..
Last date for Submission of Application: 09.07.2018, 05.00 p.m.